The benefits of marijuana use compared to the potential risk of inhaling the drug have been hotly debated. Whether you are a recreational or medical marijuana user, a dispensary owner, or you are against the use of marijuana, you are likely impacted by a side effect of marijuana use–secondhand smoke. For decades, medical professionals, including physicians and researchers, have known that second hand tobacco smoke can be injurious, even leading to cancer. But what about secondhand marijuana smoke? Is it as dangerous? Should we be concerned about smoking marijuana when children are in the room? 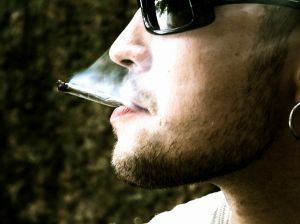 Recent research indicates that marijuana secondhand smoke could also be hazardous. According to researchers who led the study, while many people already know the risk of secondhand cigarette smoke, they may not realize that secondhand marijuana smoke is also dangerous. To study the effect of marijuana smoke, researchers exposed laboratory rats to secondhand marijuana smoke through a machine, then tested blood flow and blood vessel functions at certain intervals during the test. The rats were examined using a high-resolution ultrasound machine that could look closely at blood vessel function during secondhand exposure. According to the reports, the rats were examined 10 minutes before the exposure and 40 minutes after exposure after being exposed for 30 minutes straight. Results indicated that the rats suffered a decline in blood vessel function by 70 percent. The researchers also wanted to determine if the blood vessel function deteriorated as a result of THC, the active ingredient in marijuana. A second test exposed them to marijuana without THC, also showing a reduction in blood vessel flow and function after 30 minutes. The research team therefore concluded that the reduction in blood flow was not simply a result of the active ingredient, THC. Additional tests compared the reduction in blood function based on THC marijuana smoke, plain air, and THC-absent marijuana. A growing number of studies have unveiled the medical benefits of marijuana. California residents who have a doctor prescription can use medical marijuana to treat a range of illnesses and conditions, including epilepsy, anxiety disorders, cancers, stomach conditions, and other ailments. Whether you already have a marijuana card, or you are considering a marijuana prescription, you should have a clear understanding of your rights, and the potential risks. Our Orange County medical marijuana attorneys can help you ensure compliance with California regulations and laws. We also represent clients who have been charged with a marijuana related crime. The study on secondhand smoke should raise concerns for users who may smoke around children. Marijuana smoke was shown to reduce blood vessel function, but did not revert back to normal within 40 minutes, unlike tobacco smoke. According to analysts, the study suggests that secondhand marijuana smoke could account for higher risk of heart attack and atherosclerosis. Those who are in a room where a significant amount of pot is being smoked may face the same risks as being exposed to tobacco smoke. Users should also be aware of children or pets who are in the room and could be at risk of secondhand smoke hazards.